Absolutely in love with the wide iron cloud nine straighteners. Perfectly straightens wider sections of hair for super smooth results. Instantly creates beautiful rounded ringlets and curls. I was recommended this by my hair dresser and I love it. Always feels like I'm fresh from the salon and stays styled throughout most days. Definitely happy I bought this! Love this. 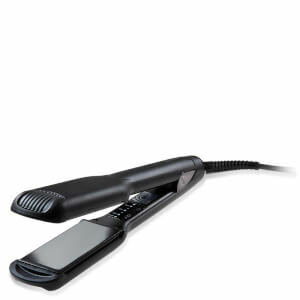 My hair is usually frizzy and takes ages to straighten but not with this straightener. It takes me half the time of my old straightener plus makes my hair feel silky. Absolutely worth the extra money! This is amazing. The best hit straightener I've ever used! My hair is so thick and curly and with the cloud 9 wide iron, my hair looks amazing within minutes. Leaves my hair smooth and undamaged. Heats up so fast and has fantastic temperature control. 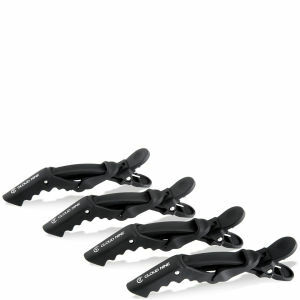 Also, the heat proof guard and heat resistant bag (which are both included) make this product fantastic value for money! Hands down the best straightener I have ever owned! Wow Wow Wow! Hands down the best straightener I have ever bought! I researched long and hard before buying this and I have zero regrets. This is a literal life changer. The wide plates are perfect for my thick long hair and was done in half the time of my regular 5 year old straightener. No more sore or sweaty tired arms in the bathroom. I can't believe I didn't buy this sooner. It sits perfectly in your hand and leaves your hair so silky soft & shiny. Thanks RY! No one can match your prices and you delivered the very next day. Impressed is an understatement! I'll be back. I just love this straightener as I have thick curly hair and it works so quickly. The fact that you can set the temperature is a bonus for me as it means I won't damage my hair. I uprgraded to this from a GHD and finds this so much better.